Should I Treat My High Intraocular Pressure? If you have high intraocular pressure (IOP), you might be wondering why your eye doctor says it’s not necessary to treat this condition just yet. Especially since it’s a risk factor for glaucoma. It’s understandable to be concerned, but with more knowledge about IOP and how it’s related to glaucoma, you can feel comfortable about your eye care plan. What is High Intraocular Pressure? Excessive Fluid – The front part of your eye is filled with intraocular fluid, which is produced by the ciliary body. IOP can develop when the ciliary body produces too much fluid and it cannot be drained fast enough. Slow Drainage – Sometimes the fluid production is fine, but the drainage system isn’t working properly. If the fluid drains too slowly, there will be fluid buildup. As you can see, both scenarios result in too much pressure with the eye. Eye pressure is measured in millimeters of mercury (mm Hg). Normal eye pressure ranges from 10-21 mm Hg. High intraocular pressure is considered greater than 21 mm Hg, but there are variations among individuals. How is High Intraocular Pressure Related to Glaucoma? Since high IOP is not always associated with the development of glaucoma, it may not be necessary to treat unless there are other risk factors. In fact, some people develop glaucoma with normal eye pressure. When Should a Person with High IOP Start Glaucoma Treatment? In other words, your doctor will assess your “threshold to treat.” Some glaucoma risk factors are more likely to lead to the disease than others, so they hold more weight. Your doctor should do additional testing such as visual field, imaging studies, and dilation to determine if the optic nerve is healthy. If you have elevated IOP, but no glaucoma, these tests should be normal. Based on these assessments, you and your eye doctor can decide together how to proceed with an elevated IOP. This might mean regular monitoring or a prescription to help lower your eye pressure. Why Not Treat Everyone with High IOP for Glaucoma Just to Be Safe? This is a great question, especially since glaucoma can cause permanent vision loss. By monitoring instead of immediately prescribing medication, consumers can avoid these problems. Cost – The eye drops used to treat high IOP can be expensive, which is compounded by the fact that they require consistent use over a long period of time. Other treatment options, such as laser procedures and surgery are even more invasive and expensive. Difficulty Administering – Eye drops can be hard to use, particularly for older patients lacking dexterity or those with memory issues. Drug Interactions – Some patients experience side effects from the eye drops or there are negative interactions with their other prescriptions. 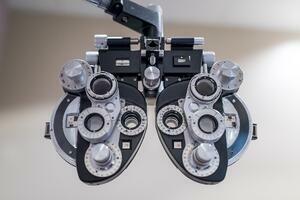 How Often Should Glaucoma Suspects Be Monitored? According to Bright Focus Foundation, a low-risk glaucoma suspect may require eye exams every 6 to 12 months. Your eye doctor will check your vision, eye pressure, and examine the front and back of your eye, focusing on your optic nerves. These tests are typically repeated annually to see if there are changes or progression over time. In some cases, your eye doctor might want to get more IOP measurements throughout the day, since your IOP fluctuates constantly. To avoid the inconvenience of multiple visits to your eye doctor, there are recent advancements, such as the Icare HOME tonometer. This device can take six rapid IOP measurements, calculate eye pressure, and store it in memory. The decision about how to manage your high intraocular pressure is a personal one. However, it should be informed by a trusted eye doctor’s assessment of your glaucoma risk. Be sure to ask questions and make sure the treatment choice is the right one for you. « What Should I Eat to Protect My Eye Health?